When Pedro Rivera happened upon a fatal car crash in Hartford, Conn., he used his personal drone to take aerial footage of the scene. That led to the loss of his job. Drone technology made headlines in January when one crashed on the White House lawn. And a TGIFriday’s demonstration went awry when a drone injured a customer, snipping off part of her nose and cutting her face. Drones have been growing in popularity, but the legality of unmanned aircraft systems (UAS) has come under scrutiny, leaving policies concerning the flying devices up in the air. Commercial operators, journalists and hobbyists have been tasked with navigating the uncharted territory. In February, the Federal Aviation Administration (FAA) published a set of proposed rules regarding small UAS or drones weighing less than 55 pounds. A commenting period was open to the public until April 26, and the FAA will now be deciding the final regulations. · Operators must pass a knowledge test. The proposal applies only to noncommercial flights. To fly commercially, a company must file a petition with the FAA and be granted a Section 333 exemption, which “grants the Secretary of Transportation the authority to determine whether an airworthiness certificate is required for a UAS to operate safely in the National Airspace System (NAS),” according to the agency’s website. As of April, 24, 235 petitions were granted and 27 closed. The weight capacity is sufficient for what most people are going to do with a drone, according to Chris Rolinson, assistant professor in the School of Communication at Point Park University. Yet, there are many applications UAS could be used for. Farmers in the Midwest were using the devices to spread fertilizer and treat their fields to save on the prices of using airplanes. With commercial flight banned, this use is now illegal. Rolinson used a 15-pound drone owned by the University to beginning learning how to teach its use to photography students. After inquiring about the legalities, he said a Point Park attorney grounded the device because the University was considered a commercial organization, despite being a nonprofit. When Rolinson was first using the drone, he wanted to test out the system’s fail-safe, which automatically grounds the device when it loses remote signal. He positioned the drone three feet above the ground, and he turned off the remote control, assuming the device would realize communication was lost and slowly lower itself to the ground. Instead, it shot up straight into a tree as it was trying to reposition itself before coming down. When it comes to operating legally, the first piece of advice Schroyer gives to people in his organization is to fly carefully. Ethical problems arise with drones because journalists have the ability to put them in new places that might cause privacy concerns. Unlike model aircrafts that must stay in motion, drones have the ability to hover. Despite Rivera losing his job, a Federal Aviation Agency investigation eventually found that he was using the device safely and legally. The local police asked him to land his drone and leave the scene. Hartford Police followed up with several calls to the news station Rivera worked for.The reactions of the two agencies involved in Rivera’s case show the confusion for journalists in the United States. With the current regulations, journalists must make it clear that they are not flying commercially. Rivera was found to be flying legally over the crash because he was not on the clock for the news station. As long as no money exchanges hands, journalists should be in the clear when filming or photographing newsworthy situations as hobbyists are permitted to do the same. Steven Adams and his drone capture this aerial view of a field honoring Mario Lemieux. Steven Adams, multimedia editor at the Pittsburgh Tribune-Review, has used a drone to take pictures of the city from the frozen Point State Park fountain to a field cut in the shape of Mario Lemieux. He said there are different degrees of commercial purposes, and journalists should not be included in the group that needs an exemption to fly. If a regular citizen can fly a drone and take pictures, Adams believes journalists should have the same right. Despite receiving a letter from the FAA that discouraged Adams from flying over crowds of people or in busy areas, he has continued to use a drone for news gathering. He is waiting for the FAA to grant journalists the opportunity to send a drove over newsworthy scenes that are best viewed from above. While the country waits for rules to be finalized, Schroyer acknowledged that this is not an entirely unique situation. Some of these questions have been asked before about other new technologies. When the camera first came out, there were worries about privacy. It’s now been normalized and laws have been put in place, Schroyer said. While journalists toe the line of commercial use, Pittsburgh businesses such as Identified Technologies and Ready to Drone have successfully gained the Section 333 exemption. The company has developed an automated system, which includes a docking station that overcomes a major problem with drones – battery life. With the typical battery life limited to only 15-20 minutes, flights usually last just around 10 minutes, Director of Sales Operations Jeff Black said. The docking system includes a carousel of batteries that are automatically changed each time the drone returns. After returning to the station, which is placed on the ground, the carousel grabs the rechargeable battery and replaces it with another. Using drones can dramatically reduce the time it takes to complete daily tasks for businesses. Each day, a rock quarry that is a client of Identified Technologies must measure how much product is on-site. When walking the quarry and measuring by hand, the task took two hours. With the volumetric data a drone can provide with photos, the process has been cut down to a 13-minute flight. While the automated flight does not need an operator, current FAA regulations require Identified Technologies to have a pilot oversee the flight, Black said. While the rule makes sense for flights that are man-operated, it is a hassle for the company. With clients in West Virginia and Ohio, a flight that could be set up from the Pittsburgh office requires driving to the location. The company could grow exponentially if a pilot was not necessary. The autonomous flight is more reliable despite not having a pilot on the ground, Black said. The weatherproof devices the company employs are “incredibly stable.” They are able to fly in winds up to 33 miles per hour. Just last month, Intel introduced seek-and-avoid software that programs a drone to stop within three feet of other objects. “Flights are much more safe when there’s not human intervention,” he said. Black said he understands the need for regulation. In the future, he’d like to see drones treated in a similar way as cars. Each system would be registered with something similar to a vehicle identification number, and pilots would have to pass a knowledge test and obtain proof of insurance. “We feel that if regulations are in place, they balance out the marketplace,” he said. Thomas Reinsel, of Ready to Drone, started the company in November. While it started as just a hobby, Reinsel now helps make drone technology more accessible for people and businesses. Ready to Drone sells systems and offers training to businesses and hobbyists. 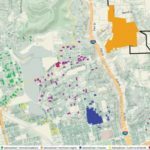 Businesses are accommodated through aerial mapping and other applications. “I’m fascinated by autonomous flight,” Reinsel said. 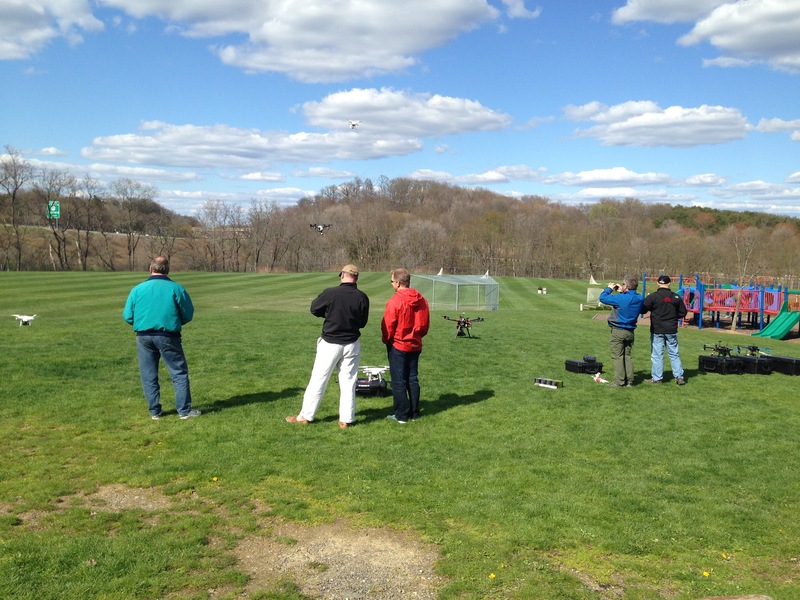 Pittsburgh Drone Masters fly UAS in Blueberry Hill Park in Sewickley, Pa.
Reinsel is also a member of the Pittsburgh Drone Masters, a Meetup group of hobbyists who fly drones together. At the most recent meeting, a handful of men maneuvered around Blueberry Hill Park in Sewickley where they have secured permission to fly. Like a Sunday car show, the event drew half a dozen men who chatted and showed off a wide array of devices ranging in cost from $40 to $8,000. “It’s like boys and their toys,” Reinsel said. Reinsel and fellow hobbyist Max Richardson recalled some fun they’ve had with their drones. The drone ghost was a Halloween puppet that flew around while attached to the device with clear fishing line. On another occasion, plastic parachute men were wiggled off the devices and floated down to the ground. 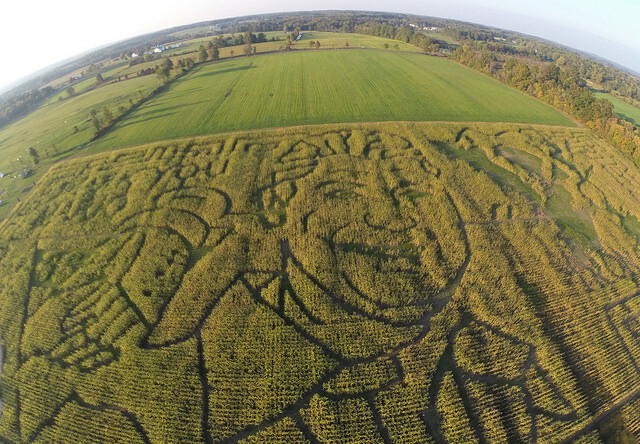 Drones were a dream come true for hobbyist Bob Hanzlik. As a model airplane enthusiast, he was excited to have the ability to take photos with a different perspective. Hanzlik encourages new pilots to take the time to understand how to use the device. Simply learning the orientation of the machine – where is the front and back – makes flying the device much safer, he said. Flying the devices involves slowed and controlled movements. “People think it’s like a video game,” Hanzlik said. The hobbyists haven’t encountered any push-back from local authorities or people they’ve encountered. Changes to an outdated 1978 law regarding model airplanes that restricted flight to five miles from an airport and under 500 feet has improved the situation for drone pilots, but it’s still “shaky,” Richardson said. Prohibitions against flying over national parks and sports stadiums have been established because of careless pilots.